It’s only a few weeks since I was raving about the latest album from Michael McDermott’s band The Westies and he’s now releasing an album under his own name using most of the same musicians that played on The Westies album. Let me just cut straight to the chase here and say that “Willow Springs” is every bit as good as “Six on the Out”. It’s packed with powerful songs and creative but unfussy playing from Heather Horton, Will Kimbrough and John Deaderick; it’s every bit as powerful as “Six on the Out”, but “Willow Springs” is a very different musical approach to similar themes. 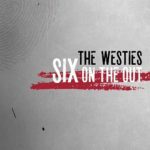 The album has a more intimate feel than the companion piece by The Westies; the album credits don’t list a drummer and although “Let A Little Light In” has all the punch of a mid-eighties Springsteen anthem, it’s not typical of the album. There’s a lot of acoustic guitar, banjo, fiddle and harmonica, but also some subversive touches like adding synth pads to fill out the sound. There’s a desire not to be stereotyped and packaged, which is explicit in “Folksinger” particularly. 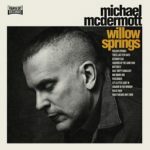 “Willow Springs” is, more than anything else, a deeply personal album, springing from a turbulent period around the death of Michael McDermott’s father. There are references to his heritage on “Six on the Out”, but here it’s right out in the open. “Shadow in the Window” is a painful look at the death of a parent and the soul-searching that follows in its wake. The song ends with the keening repetition of ‘I Love you’ gradually fading and slowing before “Willie Rain” opens with the spoken ‘I love you Daddy’ leading in to a relentlessly upbeat stringband arrangement of a song about his daughter. Placing the two songs together demonstrates the circle of life and the ultimately uplifting feel of the album. There are sombre tales, plumbing the depths of addiction (“Butterfly”) and small-time larceny (“Getaway Car”), but the final two songs of the album both look to the future with optimism. It’s almost inevitable that Michael McDermott will be compared with Dylan, Springsteen and others; maybe that’s flattering but it’s not the whole picture. When he writes, sometimes in a very matter-of-fact way about gangsters, prison and drugs, you know it’s coming from first-hand experience. “Willow Springs” is the sound of that experience being processed and used up before moving on to the next stage; it never sounds less than authentic. Maybe the time has come for the next American songwriter. “Willow Springs” is released on Friday July 22nd 2016 on Pauper Sky Records. Michael McDermott will be touring the UK later this year. It might be a bit premature to say this in May, but “Six on the Out” is already a strong candidate for my album of the year. Michael McDermott’s dark urban poetry of the dispossessed, the dying and the damned is big and ambitious piece of work. The characters that inhabit the songs live in a twilight zone where ‘The flawed and the favoured, the outlaws, the saviours, all work both sides of the line’ and there’s always a risk of paying with your liberty or your life. There are elements of autobiography, but they’re used as jumping-off points to create alternative pasts and futures where single decisions change the course of many lives. It’s harrowing and the pathos is almost unbearable at times; it’s the work of someone who’s been there and lived to tell the tale. If you want to know where he’s been, have a look at the bio page on his website and you’ll start to get some idea. The core of The Westies is Michael McDermott and his wife Heather Horton, who plays fiddle and takes the lead vocal on the beautiful, sixties-sounding, “Like You Used To” which is immediately answered by McDermott’s exhilarating, Dylan-channelling “Everything is All I Want for You”. Along with the folky ballad “Henry McCarty”, McDermott’s take on the Billy the Kid story, the three songs in the middle of the album are an interlude offering a contrast with the despair of opening and closing songs. The album opens with “If I Had a Gun”; subtly menacing acoustic and slide guitars create a brooding atmosphere for the first of several takes on the prisoner returning to society (“Parolee”, “Once Upon a Time”, “This I Know” and “Sirens” all explore different aspects of the same theme). It sets the tone for the album; you can deal with it, but you have to make the right choices. It’s only on the album’s bleak closer “Sirens” that McDermott allows the despair to triumph, but it’s only one of the possible outcomes of life in the margins; you can choose but the consequences are with you forever. The musical stylings range from the full-band sound of “Pauper’s Sky” and “Santa Fe”, with drums and pounding bass evoking eighties American rock, to the lilting Celtic folk of the waltz-time “The Gang’s All Here” and the dovetail perfectly with the lyrical themes. 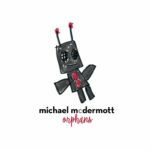 Michael McDermott’s influences illuminate the album but he’s taken those and his own experiences to create a powerful piece of work that tells of desperate times and people without either condemning or praising. It’s not comfortable, and you’ll feel wrung out by the time “Sirens” ends but you’ll want to hear it again. “Six on the Out” is released on June 3rd 2016 on Pauper Sky Records. Michael McDermott will touring in the UK later in the year.